MUMBAI: Celebrated comedian and Bollywood actor, who has penned some famous dialogues for the B’twon movies, breathe his last on 31 December 2018 at 6pm in Canada. Kader, who was suffering from a prolonged illness, died post slipping into coma. He was 81. We at Radioandmusic offer condolence to the actor through his songs as we reminiscence his Bollywood days. 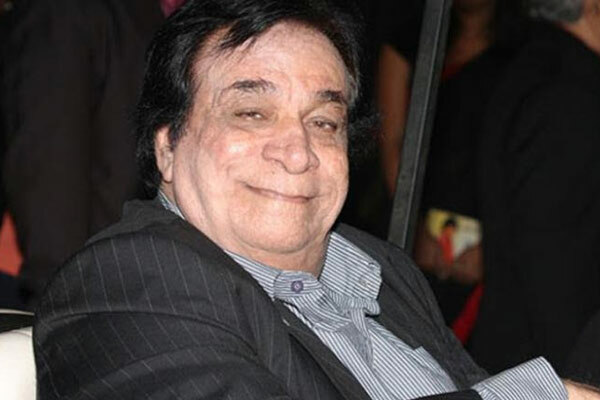 Govinda and Kader Khan’s comedy timing has been famous in Bollywood and their fans. And in the title track of Aunty No. 1 also, their fun chemistry will make you laugh. The song from this movie is sung by Arzoo Bano. Kahan Raja Bhoj Kahan Gangu Teli is another comedy song of late Kader Khan, who was known for his quintessential comic timing and this song has loads of fun moments. Sung by Vinod Rathod, this hilarious number also has Govinda along with the late comedian and is from the movie, Dulhe Raja. Dum Dum Dholak Bajana is Kader’s song from the 1990 movie, Baap Numbri Beta Dus Numbri. Starring Jackie Shroff and Aditya Pancholi, the song features Kader playing a dholak. The music of the film was composed by the music director duo Nadeem Shravan. Calcutta Ho Ya Kashi is another Kader Khan song from the 1990 movie, Jawani Zindabad. Sung by Amit Kumar and Suresh Wadkar, the music is composed by Anand-Milind. Umar Pachpan Ki Dil Bachpan Ka is another Kader Khan song from the comedy movie with the same title and starring Akshay Kumar. The music has been composed by Dilip Sen and Sameer Sen.